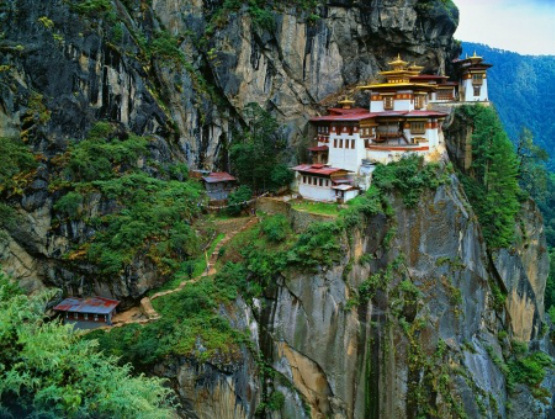 Bhutan, the land of the Gross National Happiness, is one of the most pristine untouched places left on the planet. Join Spirit is Calling on a spiritual journey to the breathtaking heights of this mystical kingdom, with trekking, camping, workshops and sightseeing in this ancient land. Bhutan practice a very unique form of Buddhism: Mahayama Buddhism founded in the 8th century by Guru Rimpoche ( 2nd Buddha ) when he made his legendary trip from eastern Bhutan to western Bhutan on the back of a flying tigress. 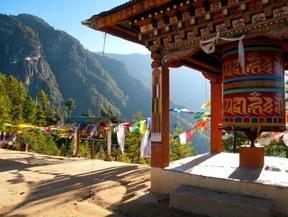 The official site and temple "The Tigress Nest" is Bhutan's most revered sacred site. 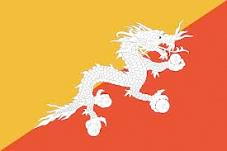 Join Spirit is Calling Saturday September 17 from 11:00 am to 1:00 pm for a special presentation on Bhutan Buddhism by Reverend Lauren Van Ham, Interfaith Minister, Dean of the College of Chaplain and Spirit is Calling Sacred Healing Ministry guest teacher for a special presentation, we will also offer healing and readings. Online or at a Berkeley location to be announced. View of the Taktshang monastery in Paro (Bhutan) with prayer flags and a prayer wheel in the front. Each day we will hike the trails along scenic rivers, valleys, forests, through villages and up to the heights of the highest monasteries. At night we camp and eat the traditional food prepared by our Bhutanese guides. Each day includes spiritual meditation and healing workshops to allow you to reclaim your energy, knowledge and hidden secrets from the ancient past. Carmen Figueras is a graduate and former staff member of the Berkeley Psychic Institute where she taught and trained thousands how to read auras and heal themselves. She is now the founder and CEO of Spirit is Calling, a psychic training school, and purveyor of spiritual journeys to countries around the world. Carmen has been a spiritual leader and tour director for over 20 years. She has led groups to Nepal, Egypt, Bali, the Bahamas, the Philippines, Peru and Africa. Giving others the opportunity to enjoy life's many pleasures is one of Carmen's goals. Her ability to always look at the bright side, makes for some really fun adventures where there are no limits to what one might create. Carmen lives in Berkeley, California. The flight into Paro on the national carrier, Druk Air, reveals magnificent views of the world's highest peaks over the lush green Paro valley. After checking in to our hotel, we will visit Ta Dzong, the National Museum housed in an ancient watchtower. Then visit Paro Rimpung Dzong, the centre of civil and religious authority in this valley. Short walk to the base of the dzong, cross a traditional cantilevered, covered bridge, and on to an archery ground, the national sport of Bhutan, where we may catch a match in action. Paro Tsechu is one of the most popular festivals in Bhutan. Featuring dances performed by trained monks and laymen in amazing masks and costumes, Tsechus (festivals) are one of the best ways to experience the ancient living culture of Bhutan. A Tsechu is a Buddhist festival in honour of Guru Rimpoche, the saint who brought Buddhism to Bhutan. A highlight of the Paro Tsechu is the unfurling of the silk Thangka – so large it covers the face of an entire building and is considered one of the most sacred blessings in the whole of Bhutan. The ‘Thangka, known in Bhutan as a ‘thongdroel’ is a religious picture scroll, and is only exhibited for a few hours at daybreak on the final day of the festival enabling the people to obtain its blessing. This holy scroll “confers liberation by the mere sight of it” (the meaning of the word ‘thongdroel’ in Bhutanese). The ‘Paro Tsechu’ festival tour includes one of Bhutan’s most popular festivals. Join locals in a colorful celebration of Bhutanese culture and faith. 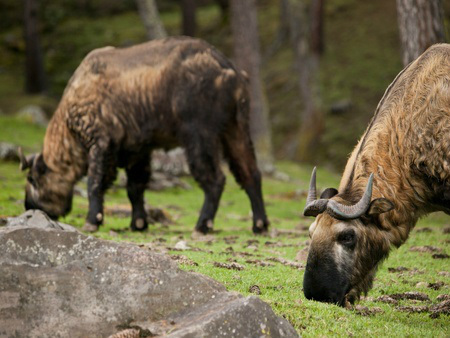 This Bhutan tour also explores the cultural western and historical central valleys of Bhutan. • View sacred dances and rituals performed by monks and laymen in elaborate costumes. • Join in with locals in a special occasion of celebration, blessings and socializing. • Witness the unfurling ceremony of the sacred ‘thongdroel’ scroll at daybreak. 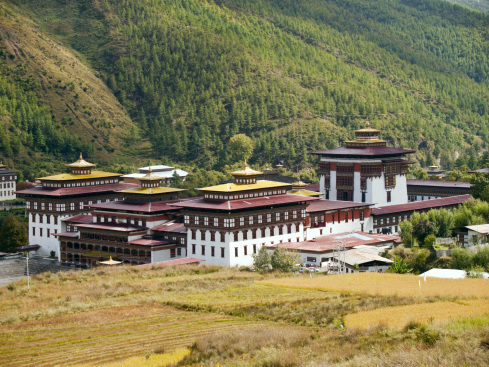 • Explore Bhutan’s central valleys, rich with ancient historical and sacred Buddhist sites. Visit Taktshang Monastery, the most famous of Bhutan's monasteries perched on a cliff nearly 3,000 ft above the Paro valley floor. Taktshang means "Tiger's Nest," so named because Guru Rimpoche reportedly flew to the site on the back of a flying tiger in the first millennium. This historically and culturally interesting scenic hike culminates at a cafe, with breathtaking views of the Tiger’s Nest. Optional hike continues to the temple. Then return back to the hotel and a free evening. First Day of Trek starts form Drukgyel Dzong, the fortress that once guarded Paro Valley against Tibetan invaders, where we begin with a pleasant walk along the Pachu River along a farm road which passes through traditional villages, and rice and vegetable fields to Mitsizamp. Cross a bridge when the trail climbs gradually through trees to Zakhapang (2,600m), to break for lunch. Then on through blue pine forests, along the the river to the Gunyitsawa army outpost. Camp at Shana, situated at an altitude of 2,820m in a beautiful open space surrounded by blue pine forests. Two traditional houses on the other side of the wide, fast-flowing river make up Shana village. Altitude: 2,500m/2820m (Total Alitude Gain: 320m), Duration 5 hours, Distance 15 Km. Level of Difficulty: Easy. This is the longest trekking day, with eight hours continuing to follow the river gradually ascending through a mixed forest of blue pine and oak, rhododendron trees, birch, fir and maple. Though the trail is rocky and bumpy path, it is not strenuous but in rainy conditions it can be quite muddy. Cross several wooden bridges and break for lunch in an ever-narrowing valley at Shing Karap or Thombuzam at around 3,305m. Several trails lead in other directions, such as the trail to Tremo la, which was the old salt-trading route to Tibet. Not long before reaching the campsite the trail leads us up a ridge with a chorten, or Seat of Faith. We camp in a spacious clearing facing Mount Jumolhari and wake to the breathtaking view of early morning sun striking the tip of one of the world’s highest mountains at 7326. Altitude: 2,820m/3,580m (Total Alitude Gain: 760m), Duration 8 hours, Distance 16 Km. Level of Difficulty: Long but not difficult, Muddy and bumpy path. The third day’s trek is short and at a leisurely pace. When we reach the army outpost our guides will stop to register our entry permits issued by the army headquarters in Thimphu. The hike again follows the Pachu River through small villages for 4 hours to Jangothang, Base Camp an altitude of 4,000m. Spend the night in this beautiful place with views of the imposing Jumolhari Mountain to the Northeast the profile of the mystical atmospheric ruins of Jangothang Dzong, populated by huge ravens. En route, we will view the area’s rich bird life including the Fire-tailed Sunbird, Ibisbill, White throated Dipper, Yellow-billed Chough, Rosy Pipit, Snow Pigeon, Blue-fronted Redstart, Plumbeous Water Redstart, Blood Pheasant, Snow Partridge and many more. Altitude: 3,580m/4000m (Total Altitude Gain: 420m), Duration 4 hours, Distance 11 Km. Level of Difficulty: Short and easy. We climb steeply above the base camp and into an area of glacial moraine, with views of Jichu Drakey and Jomolhari. A steep and steady climb, sometimes through snow, brings us to the Nylie-La pass at 4890m. From the top of the windy pass we enjoy a 380 degree view with Tshering Gang (6,789) in our site line. We follow fairly tough trek over scree or snow leads down to the valley, along the side of a ridge towards the impressively situated Lingshi Dzong (4,370m). Our camp site is below the Dzong on a flat area near a community building made of stones, at an altitude of 4000m. The trail to Shodu starts with a climb towards a chorten on a ridge into the Mo-chu valley. We cross the river and begin our ascent towards the Yele-La (4,950m). Hike 2 to 3 hours along narrow paths cut into the rock face to reach a pass with views of the snowy peaks of Jumolhari, Gang-Chenta, Tshering-Gang and Masang-Gang. At Jimenameshing there are boulders, rocks, and pebbles along the switchback trail. After this challenging ascent, we make a short descent to our campsite in a meadow at Shodu (3,815m). Since this is the main trail to Thimphu, we many meet other Bhutanese travelers en route. Altitude: 4000m/3,815m (Total Altitude loss: 185m), Duration 6-7 hours, Distance 19 Km. Level of Difficulty: Long and difficult. 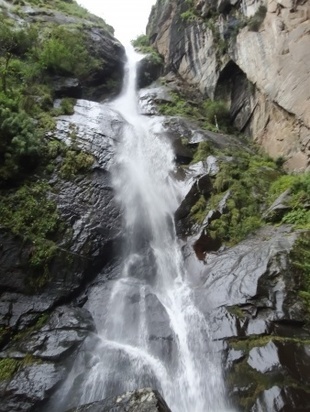 We now follow the Thimphu Chu river closely, criss-crossing back and forth over log bridges and passing through an area with steep rock faces and beautiful waterfalls. Our trail ascends towards the ruins of Barshong Dzong (3720) where we may camp or move on to Domshisa, 1 ½ hours further, near a river. Altitude: 3,815m/3,685m (Total Altitude loss: 130m), Duration 5-6 hours, Distance 16 Km. Level of Difficulty: Moderate and pleasant. The trail starts with a gentle descent through a dense forest of rhododendron, birch and conifer trees. Continue on as the trail gets steep and rocky, with cliffs above. Following the Thimphu-Chu river, we cross several ridges and streams during the day commencing with sharp turn south towards the campsite in open pasture land on the approach to Dolam Kencho (3,428m). Altitude: 3,685m/3428m (Total Altitude loss: 257m), Duration 5-6 hours, Distance 15 Km. Level of Difficulty: Moderate. The final day’s trek down, twists, turns, rises and falls, as we follow Thimphu-Chu river, sometimes far below us. After reaching a pass at 3510m, we begin the 3 hour descent towards Dodena along steep cliffs and beautiful mixed forests of rhododendron, bamboo and conifer. We arrive at Dodina, and the black tooped road where we drive back to Thimphu for a 1 hour ride, past villages and farms. Over night at the hotel. Altitude: 3,428m/2600 (Total Altitude loss: 828m), Duration 3 hours, Distance 8 Km. Level of Difficulty: Moderate and short. Visit the National Memorial Chorten (1974) built in honour of the late King Jigme Dorji Wangchuk and the Dupthop Lhakhang one of the few surviving nunneries in Bhutan. We then visit the National Library, stocked with ancient Buddhist manuscripts, and the Painting School where traditional art is still kept alive through instructions in the art of painting Thangkas (sacred Buddhist religious scrolls). After Lunch, visit the Handicrafts Emporium followed by shopping in Thimphu. Then on for an evening visit to the Tashichho Dzong, seat of the national government and the Central Monastic Body, including the summer residence of the Je Khenpo (Chief Abbot of Bhutan). Over night in the Hotel. Last day in Paro - Overnight at hotel with Farewell dinner. Return to USA for those going straight back home or R&R in a resort in Thailand Thailand Package & Itinerary TBA. Total Contribution $7900 with airfare. $7700. If paid in full by cash or check. *Specific dates have been set to coincide with Bhutanese religious festivals. Transfer, Lodging and Breakfasts in Thailand. R&R Thailand (4 extra days) to be added. Last Minute Additional Surcharges on air fair. Some Tips to Guides and Porters. *If registering with cash or check, the link will send us an email to make arrangements to make payment.